Planning ahead...Mark your calendar. 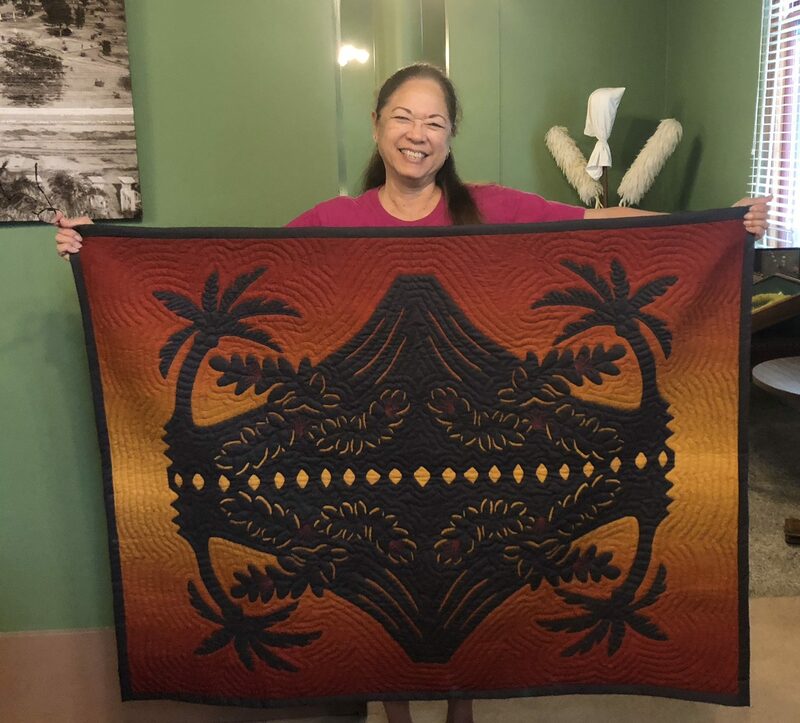 - Hawaiian Quilting With Poakalani & Co.
PaRTy, PaRTy, PaRTy, Yes please mark you calendars. December 8 is our annual Christmas Party From 10:00am-1:00pm. Let’s take a break from class and celebrate friends and family. Don’t forget to bring a Potluck Dish and Grab Bag Gift no more than $20.00. Now please enjoy this amazing ….it’s a half fold quilt pattern designed by John and brought to life by “Amazing” Pat. Beautiful. Sometimes it’s not always about the pattern but look at the amazing colors and fabrics.